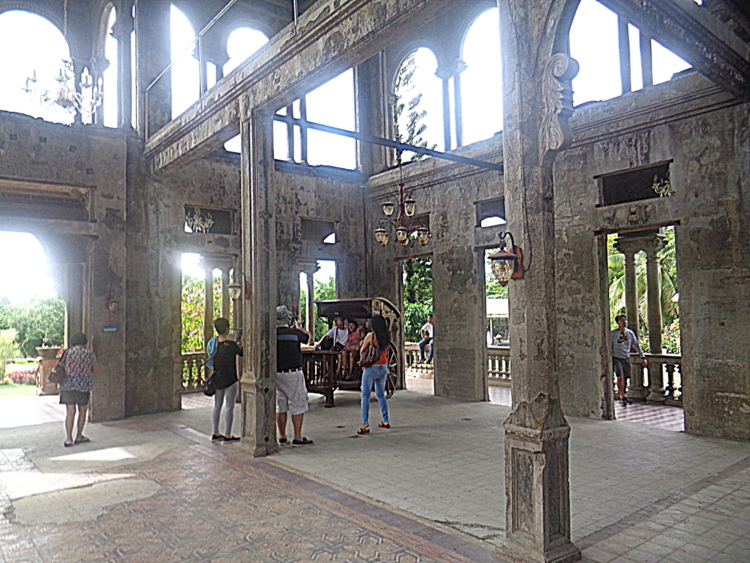 The Ruins is located in Talisay, Negros Occidental, Philippines, just outside of Bacolod City. 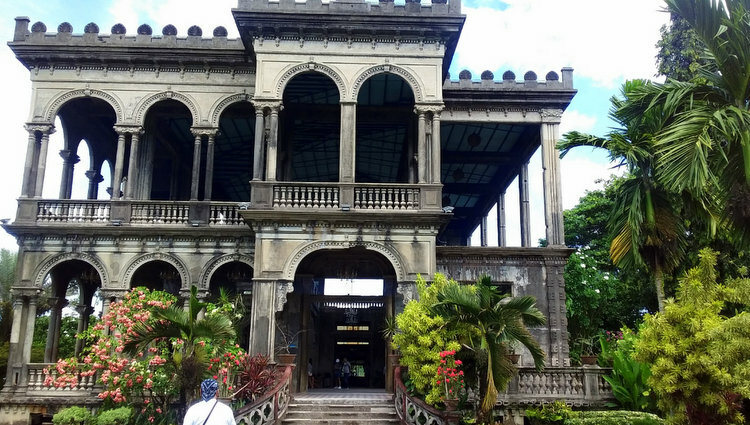 The mansion, inspired by Italian architecture, is the remains of the ancestral home mansion of the family of Don Mariano Ledesma Lacson and Maria Braga Lacson. The Taj Mahal of the Philippines, The Ruins. Why the Taj Mahal Moniker? First of all, Mughal Emperor Shah Jahan built the real Taj Mahal in India in memory of his wife Mumtaz Mahal. Construction was completed in 1648 AD. 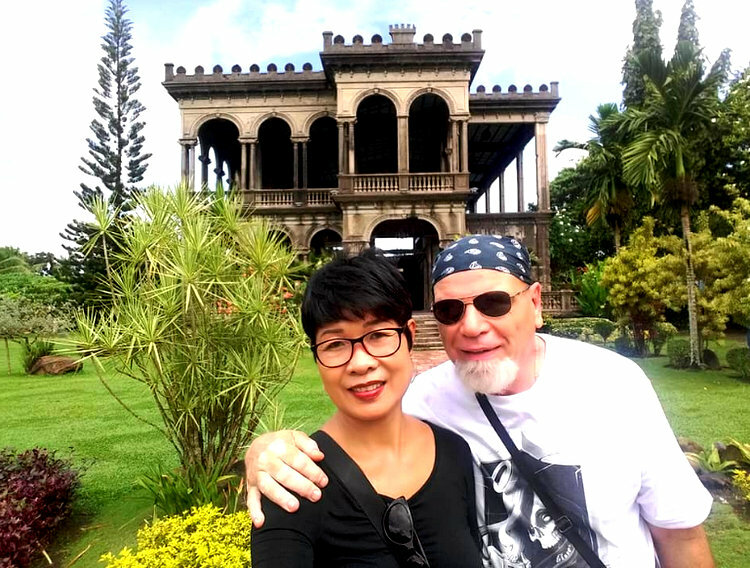 The Taj Mahal of the Philippines was also a tribute to a loved one. Maria Braga Lacson, Don Mariano’s beloved wife, died giving birth to their 11th child. The grieving husband wanted to immortalize his treasured late wife. Construction of the mansion began in the early 1900’s. A 440-hectare plantation surrounded the great house. WWII Filipino guerrillas employed by the US Armed forces intentionally set the building on fire in order to prevent invading Japanese forces from being able to use the building as a headquarters. According to the website TheRuins.com, the resulting 3-day inferno brought down the roof and the two-inch wooden floors, but the entire skeletal frame remains intact to this day. 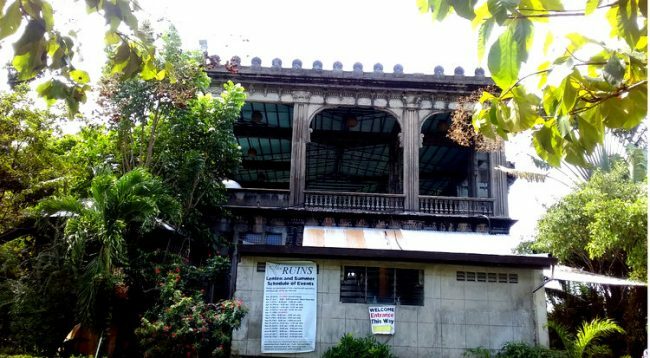 The Ruins is now in the private ownership of the great-grandchildren of Don Mariano Ledesma Lacson and Cora Maria Osorio Rosa-Braga. They have preserved it in its ruined state, amidst operational farmland, as a tourist attraction. It is open to daily visitors from 8am to 8pm for a small entrance fee of PHP100 adults, PHP 50 students and PHP20 children. 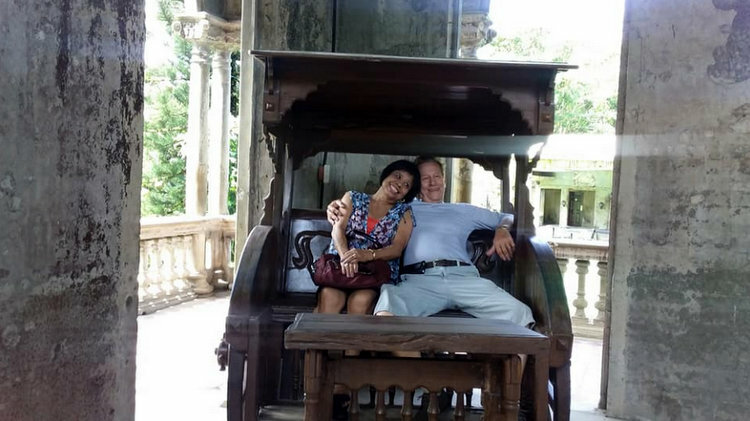 Going to The Ruins from Bacolod will take you around 15 to 20 minutes by tricycle. You will find the tricycle in Barangay Bata in front of the Pepsi Cola Plant. Or you can ride a taxi and it will take you around 10 minutes. However, if you take a taxi, beware. Most of the taxi drivers will be charging you a fixed rate at P200-P300 for a 120-150 peso metered fare. 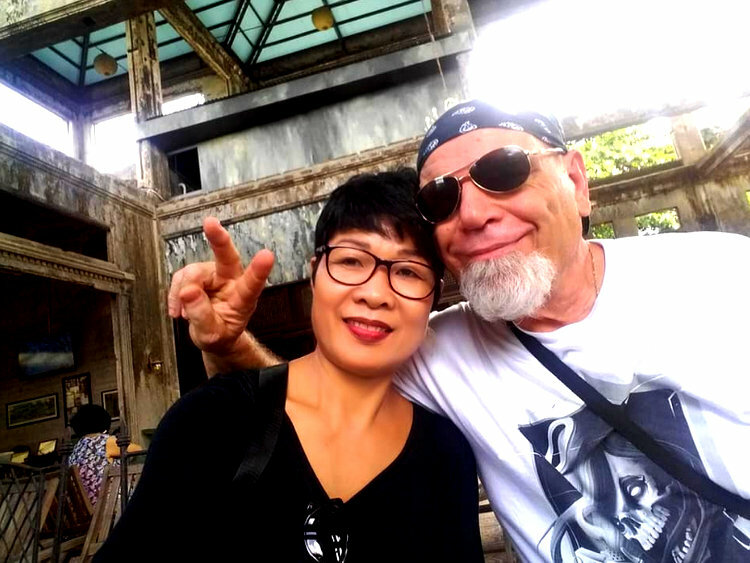 My wife and I have been to Bacolod several times and the taxi cabs at the Bacolod port always refuse to go on the meter. Our hotel of choice, The Check-Inn Arcade Pension House is only a short drive from the port, less than five minutes. That is the only time we take a taxi in Bacolod. We travel to other destinations when we’re on our own via jeepney and Ceres bus for a lot cheaper rate than the Bacolod cabbies. 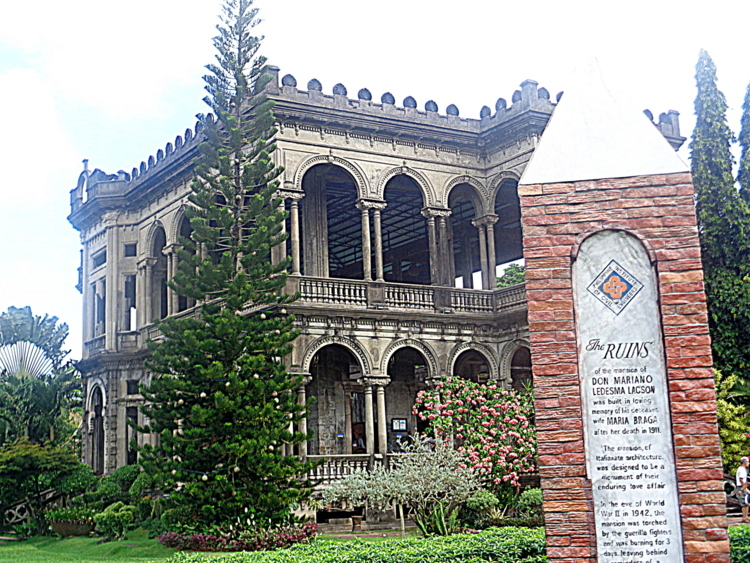 If you’re in Bacolod, it’s an historical site you’ll want to visit. ← Blade Spa Mambukal Resort: Get Yourself Spoiled!